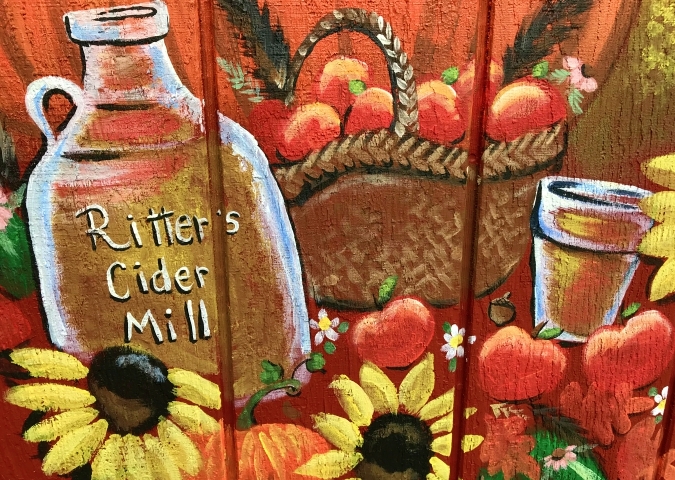 on sunday, we made our annual pilgrimage to ritter's cider mill. 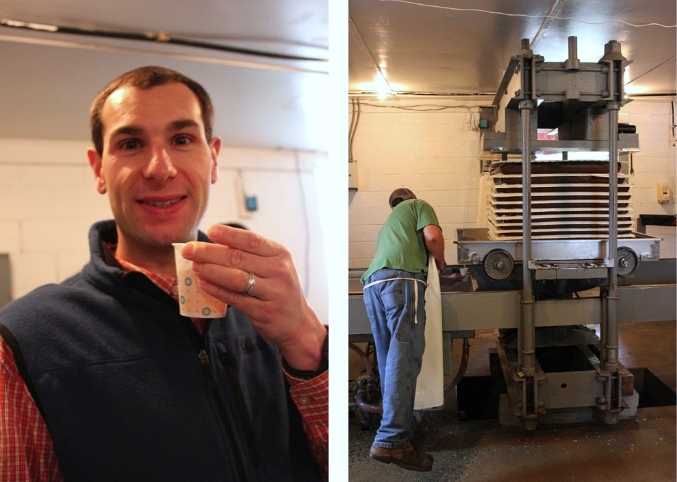 our parents joined us as we visited the animals, watched fresh cider being pressed, and picked out a few fall treats. i always look forward to our tradition of visiting ritter's each fall. That mural makes a nice setting for pictures. My alpaca friend looked a little ruffled, I felt sorry for him. Love their cider. It was fun. 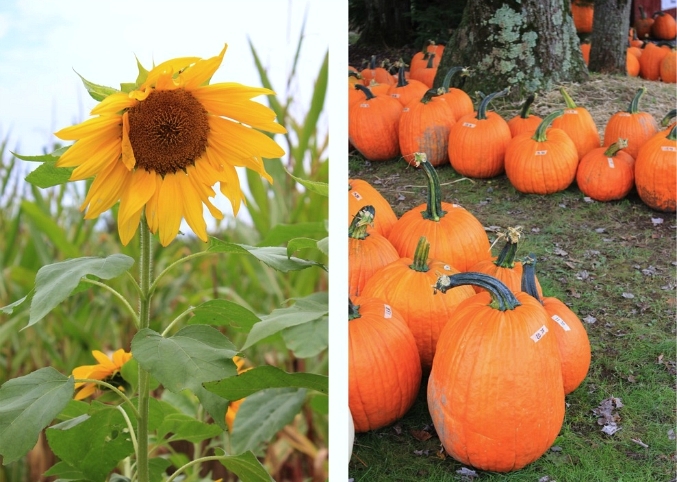 I always look forward to doing something special to celebrate fall.